As one of the 4 C's of diamonds (actually the first one), diamond color has a huge impact on the value of the diamond. Just look at the below three diamonds, can you guess which has the best diamond color? But… what happens when you don’t look at them at the same time? And what if we don’t take diamonds from the different edges of the color chart but rather take diamonds that are in the same section? Now look at these two diamonds – which one has the best color? I bet it’s harder… But what if I tell you that the price difference between these diamonds is hundreds of dollars? Isn’t it a waste of money? And that’s before mounting that can also help disguise the color (p.s. the diamond on the left is E color and the one on the right is D). Beautiful crystal clear colorless diamonds. Obviously, there is some paradox in it since a good diamond color is actually a diamond that lacks color… But that's not always the case. In this guide you'll learn EVERYTHING there is to know about the available colors of diamonds. Starting from what diamond colors exist? How diamonds are graded for color? How they are valued? How you can save on a diamond by manipulating its color? What are fancy colored diamonds and more. How Does the GIA Grades Diamond Color? How a Diamond's Color affects its Value? When diamonds are graded for color, the scale which is used is based on the Latin letters ranging from D to Z. D being the purest colorless color and as you go down the scale the diamond gets a yellow tint. As mentioned above, besides the yellow tint there are also yellow diamonds but they belong to the family of colored diamonds in which will discuss further down the guide. Since the purest and whitest color diamonds, the D color diamonds, are the hardest to find in nature and since they are the most sought after – as can be expected - D Color Diamonds are (by far) the most expensive diamonds (excluding fancy color diamonds). But, a normal person (and even GIA grads) probably will not note the difference between a D color diamond and an E color diamond unless he compares them one next to the other. This is why even though moving one letter (one grade) down the diamond color chart will cause a sensible price depreciation it is customary to divide the diamond scale into color groups. The diamond color scale was invented by the GIA many years ago and is now the leading standard used worldwide. The reason the best diamond color is graded D and not A for that matter is that before this standard was formed other methodologies were used including color grading as A, B & C. The GIA wanted to make sure that there is no confusion. D, E and F color diamonds are considered colorless. Meaning that they have no yellow tint. They are the rarest and as such most valuable. 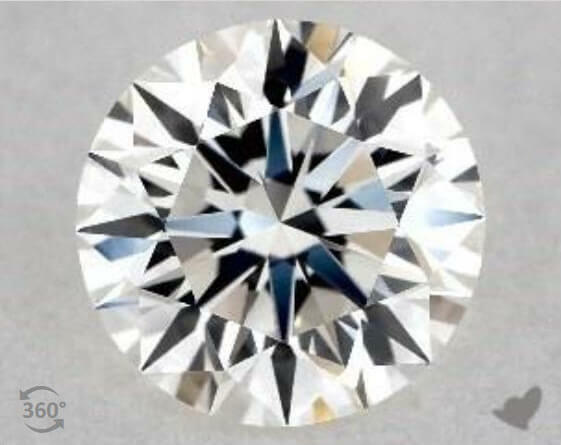 Even though the difference in coloration between D & E (and even D-F) color diamonds is impossible to see (unless compared), there are vast differences in prices. Here is a price comparison among the three color grading’s when all else is the same: $9,500, $8,250, $7,500. Since the colorless family of diamonds is of the highest quality (color wise), it doesn't matter if you are mounting it in white gold or platinum, what setting you are using or what diamond shape you chose - they would look perfect. In fact, assuming there is some sort of budget limit, buying a D and even E color diamond would be, in the practical sense, a waste of money. * NaturallyColored.com specializes in colored diamonds. All white diamonds searches are based on James Allen's database. The GIA defined diamonds graded between G-J as near colorless diamonds. However, while most people won't notice the difference unless compared one next to the other, in this case I would draw a line in the middle and differentiate G-H from I-J – because theory aside – when it comes to an engagement rings, it does matter. If you decide to mount the diamond in a white gold, platinum or a palladium ring, I would not go below H and even make the effort to buy a G color diamond since price wise there won't be a lot of difference. If you do go with yellow gold, then since the yellow is reflected on the diamond, you can easily choose H or I – note that I would personally still stay away from J color diamonds unless you really don't have a choice. These diamonds already possess visible yellow tint. And by visible I mean slight yellow coloration that you can note with the naked eye with no special expertise even without comparing to another color diamond. As such, they are often much less desired and since economic rules dictate that a price of a product is a result of supply and demand while the supply of these diamonds is somewhat higher the demand is MUCH lower and therefore you'd see a significant drop in pricing between a G-H color diamond and a K color diamond. With that in mind, if you are mounting the diamond in yellow gold and find the warm coloration appealing or going for an old vintage style ring – then you might find these diamonds interesting. You should also note that a lot of the diamond stores and dealers that sell to the end customers (even Blue Nile) do not hold diamonds below I / J in stock. These diamonds already have a very notable color. The color may be either a yellow or even brown tint. Some of these diamonds are often referred in the industry in short as "top light brown". There is very little demand for these diamonds and their prices are extremely low - probably the lowest in the industry. The group of diamonds with colors ranging from S to Z is called Light Color Diamonds. 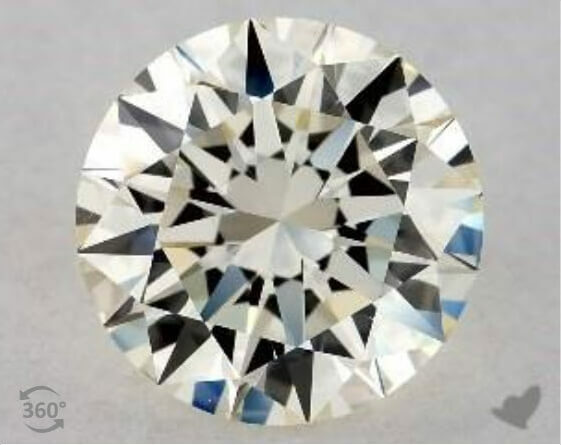 Interestingly, these Light color diamonds (mainly beyond the U color) are in more demand than the Very Light color diamonds mentioned one grade above. The reason being is that the slight "dirty" yellow tint that was before treated as taboo is slowly simply becoming a yellow stone. Note that these are not considered fancy colored diamonds. However, since yellow diamonds intensity grading officially starts with fancy light often the U-X and Y-Z color diamonds are considered faint yellow and light yellow replacements. How does the GIA Grade the Color of Diamonds? What the GIA does is to grade the degree of colorlessness of the diamond. Since the degree of colorlessness is practically impossible to distinguish by the naked eye, master-stones are used for comparison. The master-stones are placed in a row on a color paper facing down from D to Z. Since there can be a small range of qualities within a color grade, the master-stones show the "worst" of a certain grade. Then, the gemologist will place the subject diamond in between two diamonds and see if it is better or worse than the diamonds that surround it and according to that he will move it up or down the scale until he reaches the point where the diamond on the left is better than it and the one on the right is worse – that place will mark the color grade as the diamond on the right (remember that the one on the left represents the worst of its kind). The comparison is done under special neutral lighting in order not to affect the color and is also repeated by several gemologists that are unaware of each other's grading's. Theory is one thing and practice is another. A diamond's color is only one aspect of diamond grading and diamond grading (or diamond evaluating) goes far beyond the well-known 4C's of diamonds. However, these 4 C's are the most important ones and color is certainly important. Every step down the color scale will reduce the price. There is no fix number or percentage you can reduce but it can be quite significant. You should note though that there are steps that are more meaningful than others and that is something an educated buyer should definitely use in his advantage. For example, stepping down from D color diamond (best color) to E will save you a lot of money on the engagement ring for something that no one (but the certificate) would be able to tell. However, going down from K to L color is quite meaningless and so does the price difference. 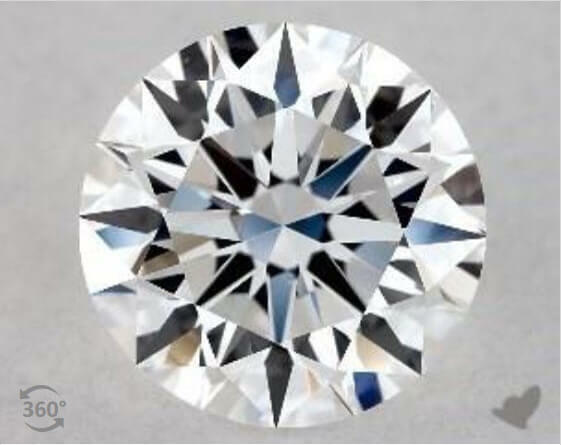 In all of the above, the prices were checked for diamonds in the exact same level besides for their color - All diamonds are very good cut, no fluorescence and vs1 clarity grade. So, how would you spend the $2,750 you just saved? It is said that 1 out of 10,000 diamonds is a fancy colored diamond. Diamonds that during their crystallization process foreign particulates are trapped and alter their color. For example, boron causes blue diamonds and nitrogen yellows. An amazing phenomenon. Grading of fancy colored diamonds colors is far more complicated, but here it is in a nutshell… Colored diamonds are graded both on color and on color intensity. The existing base colors are red, blue, pink, green, purple, violet, gray, brown, orange, yellow, black and white (fancy white and not the “regular” colorless white). As a result of the above, while white diamonds have 17 diamond colors, colored diamonds literally have hundreds of color combinations. You can read more about it in the following – The 7380 Colored Diamonds Colors.